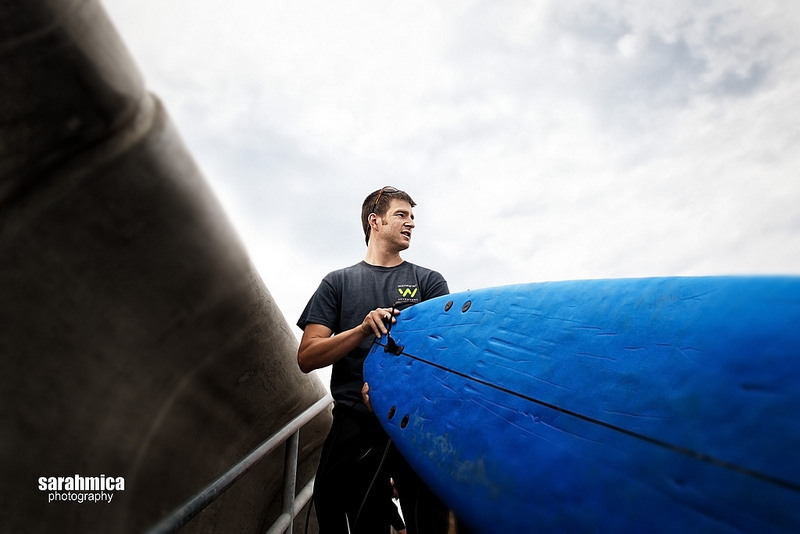 Earlier this month I tagged along with Dan Minnich, one of the two co-founders of Waypoint Adventure, to photograph their surfing program. Waypoint Adventure is a wonderful non-profit organization here in Boston. They take youth and adults with disabilities (both mental and physical) on outdoor adventures in nature in order to help them realize their true potential. Dan and I left Boston at around 1:30 in the afternoon and drove to Hampton, NH. The program was scheduled from 4 - 6PM. We arrived early at Cinnamon Rainbows Surf Co., our destination and rallying point, to check in and make sure that the surf instructors and gear were all set and ready to go. The staff at Cinnamon Rainbows were excellent, very professional, friendly and welcoming. It was a gorgeous day; the temps were in the mid 70's. And while the sun was out and bright earlier in the day, it became overcast and atmospheric by the time the surfing adventure began. The adventurists and volunteers arrived by 4 o'clock. Dan gathered everyone together outside Cinnamon Rainbows to make introductions and to explain the surfing adventure that lay ahead. Each adventurist was then paired with a Waypoint Volunteer. And they set off! The adventurists and volunteers walked a few blocks to the designated surfing area of the beach, where two Cinnamon Rainbows surf instructors were waiting. A volunteer helps an adventurist with his wetsuit. 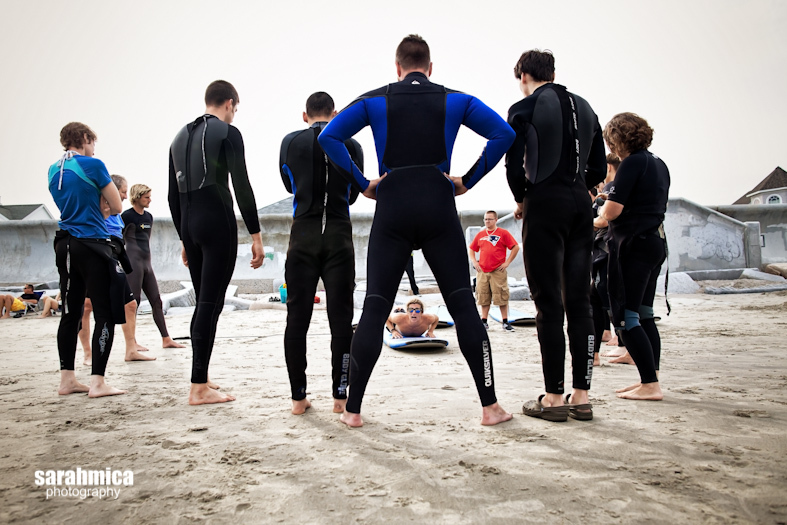 Once the group arrived at the designated area, the surfing instruction began. After some practice time with the surf boards on the sand, it was time for the real deal. Off they went into the ocean to catch some waves. All of the adventurists were able to ride some waves! And a few were able to fully stand up on their boards! High fives for that amazing ride! After a few hours of surfing, it was time to come in out of the water. As if on cue, the sun came out, casting a warm, golden glow over the entire beach. At the close of the program, Dan gathered everyone together on the beach for encouragement and an assessment of the accomplishments that were made by the adventurists that day. I was honored to witness first hand the incredibly positive impact this organization makes in the lives of their adventurists. I strongly encourage support of this organization, either financially by donation, or physically by becoming a volunteer in one of their many exciting programs! *Photo geek notes: This was shot using only natural light, the quality of which as pretty amazing that day. I packed very light for this gig, using one camera body (5D Mark II) and two lenses (24mm f/1.4 and 135mm f/2.0).